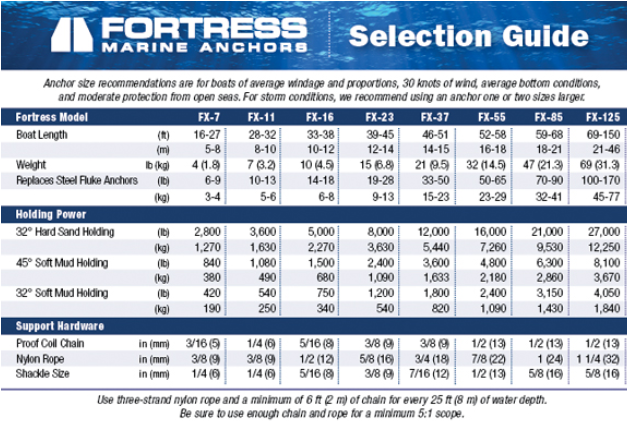 The Fortress FX85 suits boats between 18 and 21 metres long (for more info consult the size guide) and also comes with a 1 year warranty for replacement parts. 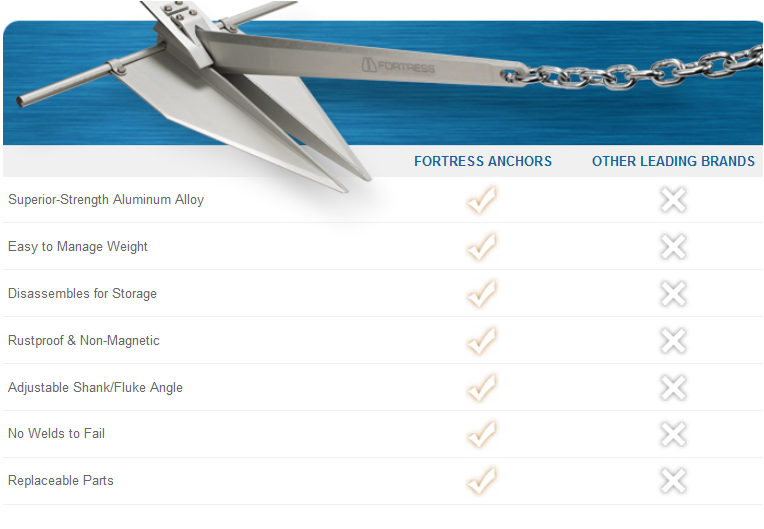 If you are not sure which size you need still please consult one of our specialists on moorings and anchors on 00353 28 23190. 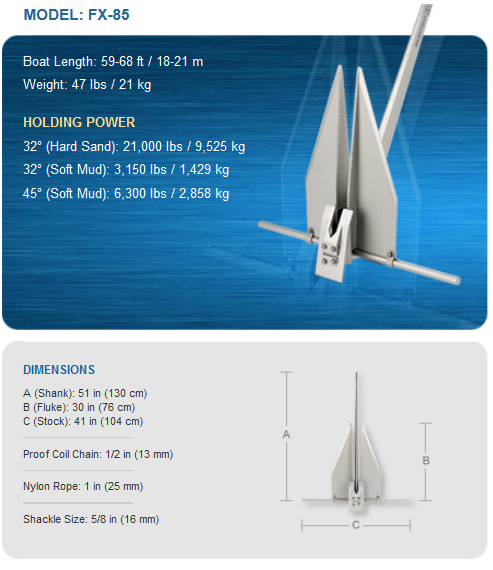 Add 16mm chain, 3-strand 25mm nylon and 2 x shackles for a full anchor kit (see related products).